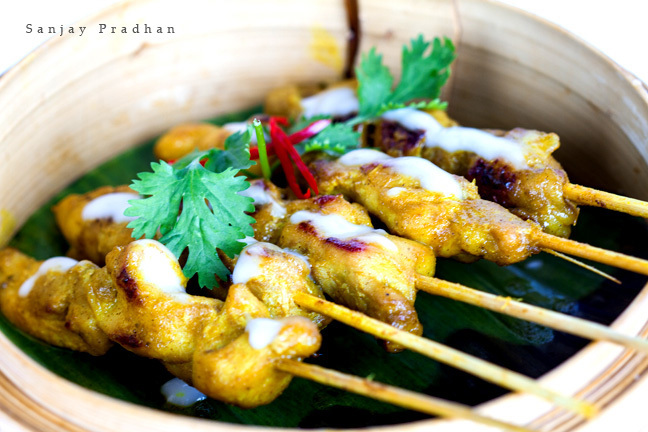 Thai food has a high degree of influence from the cuisines of its neighboring countries, India and China. Authentic Thai food combines ingredients and flavors in such a manner to achieve a distinct personality and taste of its own. Hot and Sour Soups: Start your meal with soup as an appetizer. The water content in soup makes you feel full and therefore you will tend to eat less when your main course arrives; however it is essential to stay away from cream based soups and opt only for a clear soup with lots of vegetables and meat. Steamed Dim Sums: Avoid fried starters; rather choose items that contain the word ‘steamed’. There are many varieties of dumplings or dim sums to try instead of consuming the extra calories and fat with fried items. Thai Noodle Salad: More vegetables mean that the meal is healthy. So starting with a Thai noodle salad, Som Tum or green papaya salad can be a wise idea. 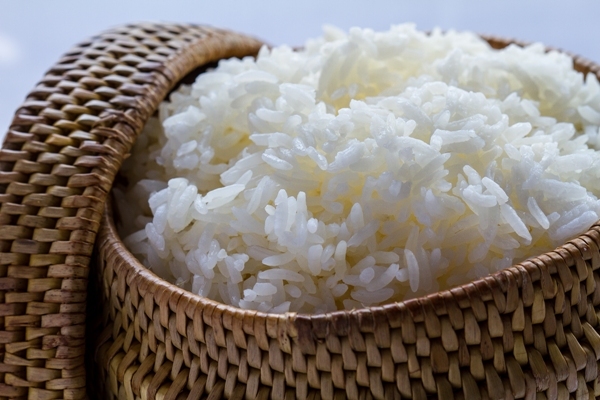 Boiled or Steamed Rice: Boiled or steamed rice should be favored over fried rice which has oil and unnecessary fat and calories. Steamed rice with vegetables is the best way to enjoy low calorie Thai cuisine. Grilled or Steamed Fish and Poultry: Grilled or steamed fish or poultry are a healthier option than creamy vegetables cooked using high fat coconut milk. Choose steamed or grilled mussels without the creamy sauce. While enjoying Thai food in a restaurant you should be alert of the high fat content in some of the most attractive dishes. 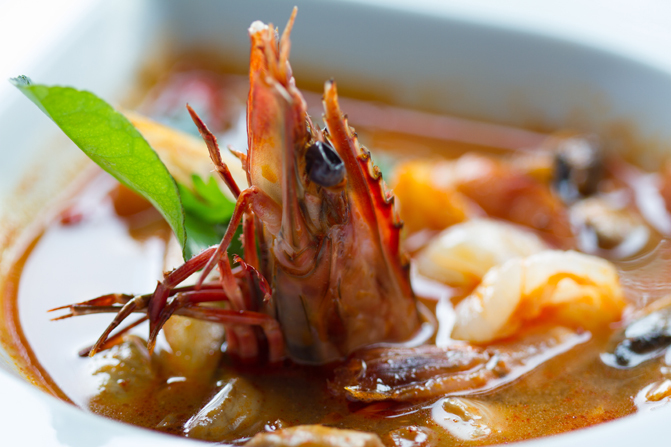 All Thai curries consist of garlic, chilies, spices and coconut milk pastes that are high in calories. Sparing the Thai curry can be fine or make sure to eat it with a lighter accompaniment. According to a Hong Kong based nutritionist, Thai clear soups or broths and salads are the best option. 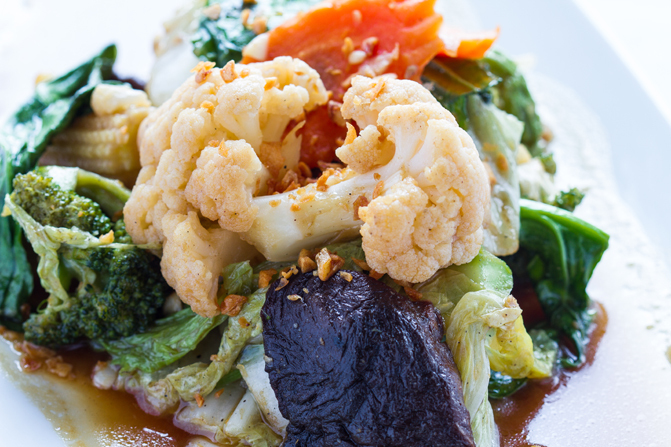 Stir fried, grilled, sautéed or braised vegetables, lean meats and fish are nutritious. However care must be taken when choosing from lemon grass, curry, sweet, lime, sour, chili, basil and fish sauce and completely avoid coconut and coconut based curries. Enjoying authentic Thai food requires a bit of discretion. Dining out in a leading Thai Restaurant is an opportunity to try new cuisines and explore healthy food varieties. However, the key to healthy choices in eating out comes from the ability to apply prior thought into what you order without constraining your experience.